Suspicion was designed while I was working at R/GA Interactive in New York City and was played by about 25 players within the larger company. You never who else was playing, and had to use code words and gestures to figure out who was playing and who belonged to your two groups. 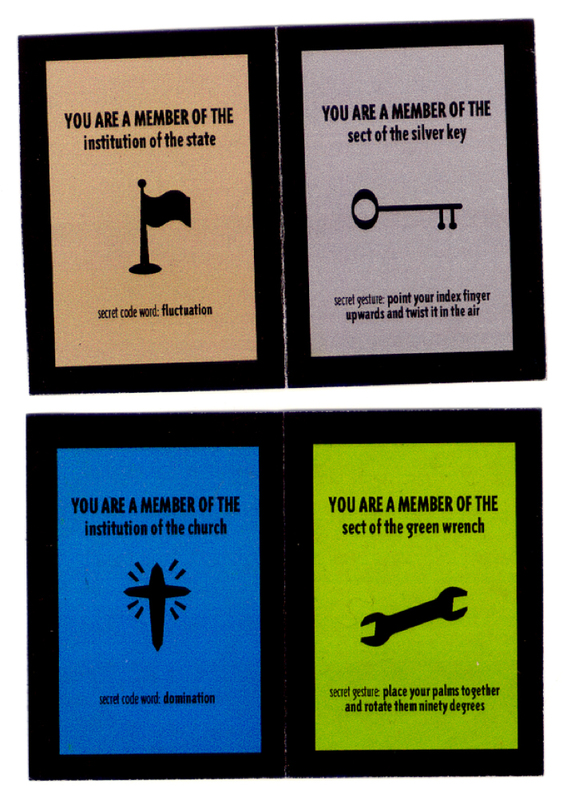 Once you thought you knew another player's identity, a simple dueling game let players steal cards from each other. 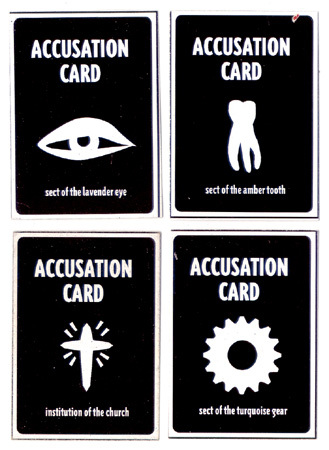 Suspicion was an intense game meant to upend the power dynamics of the company where it took place. It encouraged secrecy and deception, and led to players screwing over their bosses and bribing each other with real money. Thanks to all of the enthusiastic players at R/GA.